There are 24 messages in the Guest Book! How to resolve the issue of “binding error”? there are two ways for resolving issues like this 1st is sending sms for authentication and second you can have direct words with our Experts on Gemini Support Number 1-800-861-8259.Your queries will be 100% resolved in couple of seconds. love your beautiful paintings! so passionate, so powerful! Love your work - particularly your use of colour. Looking forward to seeing them in person! 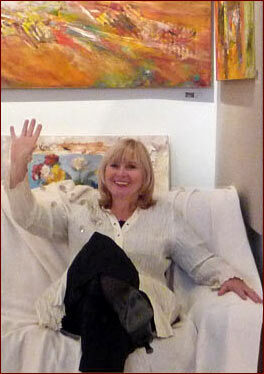 We loved your new paintings exposed at the Alliance Francaise de San Francisco. What a treat to hear the stories behind the paintings and to get to watch them again and again colorful reflect of your beautiful self... We enjoy the ones we have at home everyday and love to see your new ways and paths of expressing what you feel and communicate so beautifully. Thank you!!! FANTASTIQUE;Y A T IL UNE EXPOSITION PREVUE EN EUROPE?MIEUX EN FRANCE?